Proton therapy is the most technologically advanced method to deliver radiation treatments to cancerous tumors available today. 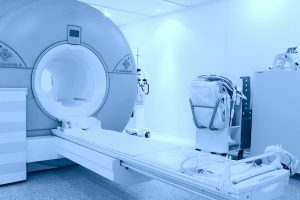 The unique characteristics of how protons interact within the human body allow it to deliver curative radiation doses while reducing doses to healthy tissues and organs resulting in fewer complications and side effects than standard radiation therapy. Recently medical physicist Dr. Aswin Hoffmann and his team from the Institute of Radiooncology — OncoRay at the Helmholtz-Zentrum Dresden-Rossendorf (HZDR) are the first researchers worldwide to combine magnetic resonance imaging (MRI) with a proton beam, thus demonstrating that in principle, this commonly used imaging method can indeed work with particle beam cancer treatments. Radiation therapy has long been part of the standard oncological treatment practice. A specific amount of energy, the dose, is deposited into the tumor tissue where it will damage the cancer cells’ genetic material, preventing them from dividing and ideally, destroying them. The most commonly used form of radiation therapy today is called photon therapy, which uses high-energy x-ray beams. Here, a substantial portion of the beam penetrates the patient’s body, while depositing harmful doses in healthy tissue surrounding the tumor. An alternative is radiation therapy with charged atomic nuclei, such as protons. The penetration depth of these particles depends on their initial energy. They release their maximum dose at the end of their trajectory. No dose will be deposited beyond this so-called “Bragg peak” which plots the energy loss of ionizing radiation during its travel through matter. The challenge for physicians administering this kind of therapy is to control the proton beam to exactly match the shape of the tumor tissue and thus spare as much of the surrounding normal tissue as possible. To ensure that the dose targets only the affected tissue, the beam must be targeted and accurate. In such a delicate piece of equipment, the design and craftmanship of the precision lens for your particular needs is where you want the expertise that UKA offers. Our dedicated team of engineers and manufacturers will deliver exactly what you expect. The project is currently entering its next phase. The goal is to develop the world’s first prototype for MR-guided particle therapy that is applicable for clinical use. This opens up many new opportunities for targeted, healthy tissue-sparing cancer therapy.